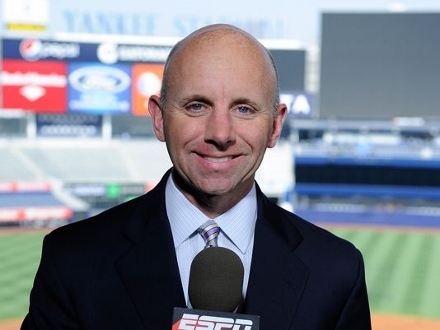 Sean McDonough helped me get my first job in radio. Mike Tirico helped me get my first job in TV. I hope that I can help each of them land a gig someday. Actually, they seem to be doing just fine without me. If you missed the news on Monday, NBC Sports formally announced that Tirico is joining the network after spending 25 years at ESPN. He’ll be part of NBC’s Olympic coverage in Rio this year and the move puts Mike in line to eventually succeed Al Michaels and Bob Costas as the primary play-by-play announcer and host of NBC’s sports programming. One hour after that announcement, ESPN named McDonough as Tirico’s replacement on Monday Night Football. Sean becomes just the fifth play-by-play man in the 46-year history of the series. I am admittedly biased, but both networks made exceptional hires. 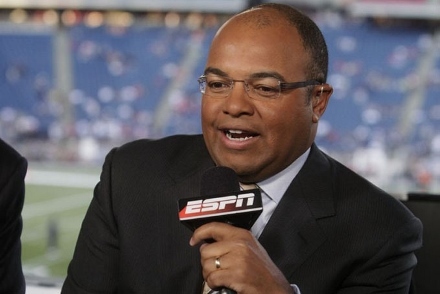 Tirico is the most versatile announcer in sports broadcasting – equally adept as a host or as a play-by-play man in both TV and radio. He is easily the most qualified person to eventually succeed Michaels AND Costas, allowing NBC to replace its two most important sports broadcasters with one hire. Pretty shrewd move. Sportscasting is a very subjective business and nearly every announcer – no matter how successful – has critics. Vin Scully and Tirico might be the only exceptions. I’ve never heard anybody say they don’t like Mike’s work. I’ve said before that I believe Mike made one of the greatest calls in sportscasting history on the infamous “Fail Mary” play that ended the Packers-Seahawks game in 2012. Watch the clip and listen to Mike’s play-by-play. It’s one of the most confusing plays in NFL history and Mike nails every minute detail on the fly. If you go back and watch the play and try to script exactly what to say, would it be significantly different than what Mike said on live TV? McDonough has had his share of classic calls too, including Joe Carter’s World Series ending HR in 1993 and Michigan State’s stunning win over Michigan last year on the return of a flubbed punt on the final play of the game. But for me, the best example of Sean’s skill was the legendary six overtime game between Syracuse and UConn in the 2009 Big East Tournament. In a marathon broadcast with too many twists and turns to count, Sean perfectly captured the drama of every big moment. A great play-by-play announcer is both informative and entertaining and nobody combines information and humor better than McDonough. That’s why the trio of Sean, Bill Raftery, and Jay Bilas back when they did Big East/Big Monday basketball games on ESPN is my all-time favorite broadcasting crew. In addition to calling a great game they frequently had you doubled over in laughter. I arrived at Syracuse University in the fall of 1981. One of the first things I did as a freshman was to sign up to work at WAER, one of the campus radio stations. At that time, newcomers were assigned to assist older students in order to learn the ropes. In my case, that was a sophomore named Sean McDonough. After listening to him call games, do sports reports, and host talk shows, I remember thinking, “My God, is everybody here this good?” If so, I had better find another career goal. Fortunately, I soon realized that I was the norm and that Sean was the exception. While most of us wannabe sports announcers were getting badly needed on-air experience and developing our own broadcasting style, Sean was a network-level announcer as a college student. At the age of 30, he was calling the World Series on network TV. By the time I was an upperclassman at SU, it was my turn to show some radio basics to a freshman that had been assigned to work with me – you guessed it, Mike Tirico. I’d like to pretend that I had something to do with his success, but like Sean, it was obvious right away that Mike was going to be hugely successful. When I graduated from the ‘Cuse, my first job was to succeed McDonough as the radio voice of the minor league Syracuse Chiefs. I’m sure that Sean’s recommendation to the team’s general manager was the biggest reason I was hired. After calling baseball games for a few years, Tirico asked me if I would be interested in becoming the weekend sports anchor at the Syracuse TV station he was working for at the time. Despite having no professional TV experience, Mike convinced the news director to give me an audition and I landed the job. Without their help, I have no idea how my career would have turned out. They are incredibly talented broadcasters and even better friends. And they are both going to be sensational in their new roles.